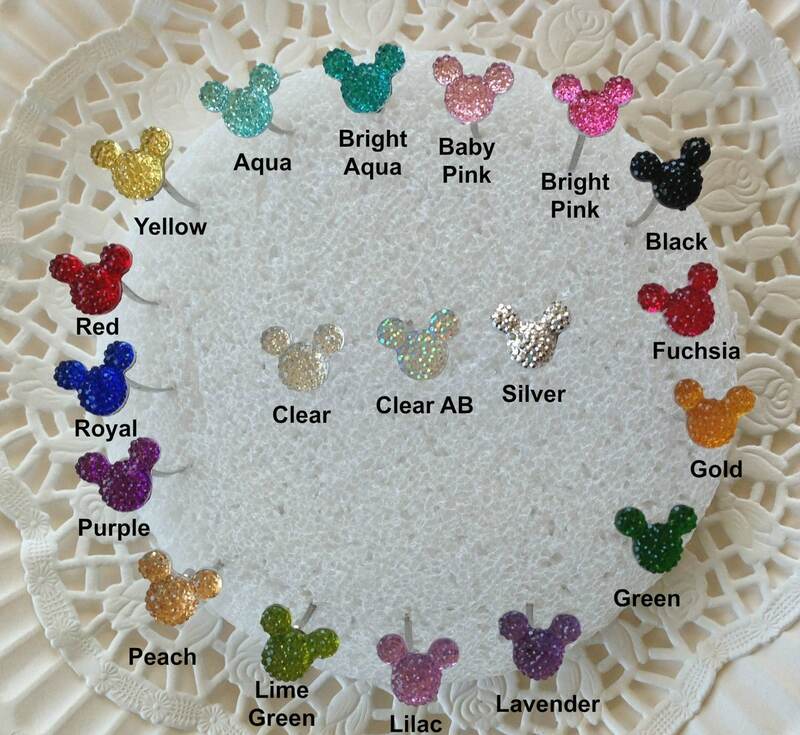 Quantity of 1 is for a set of 12 Clear AB mouse ears mounted on one and one half inch wires for floral bouquets. 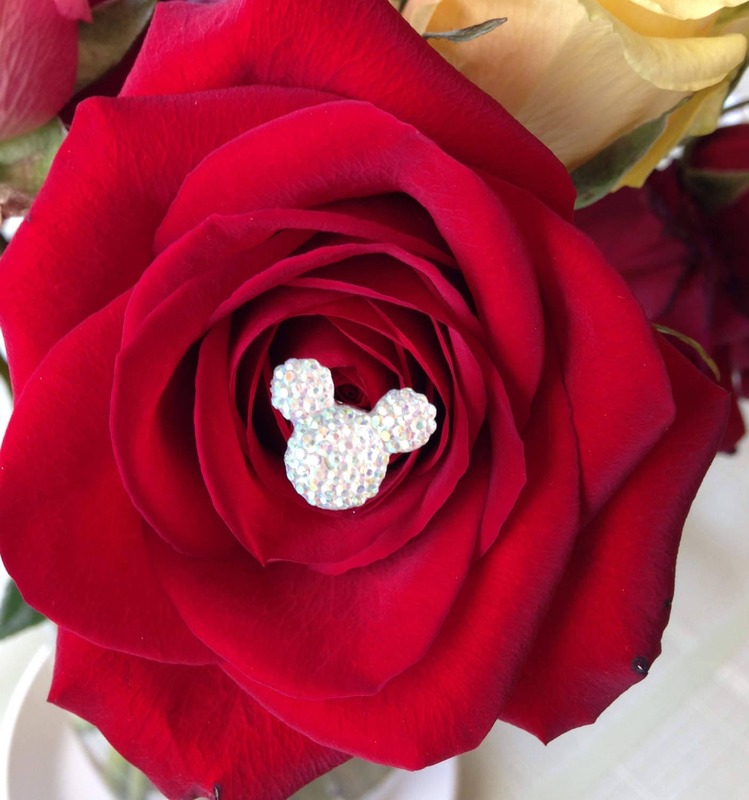 Quantity of 2 will give you 24 hidden mickey flower pins. 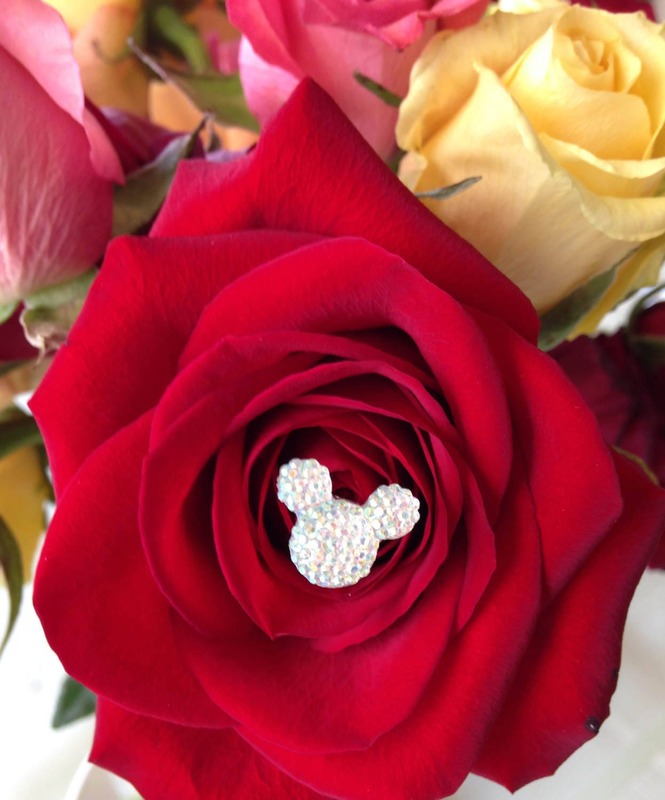 The wire can be pushed right into the center of the flower. 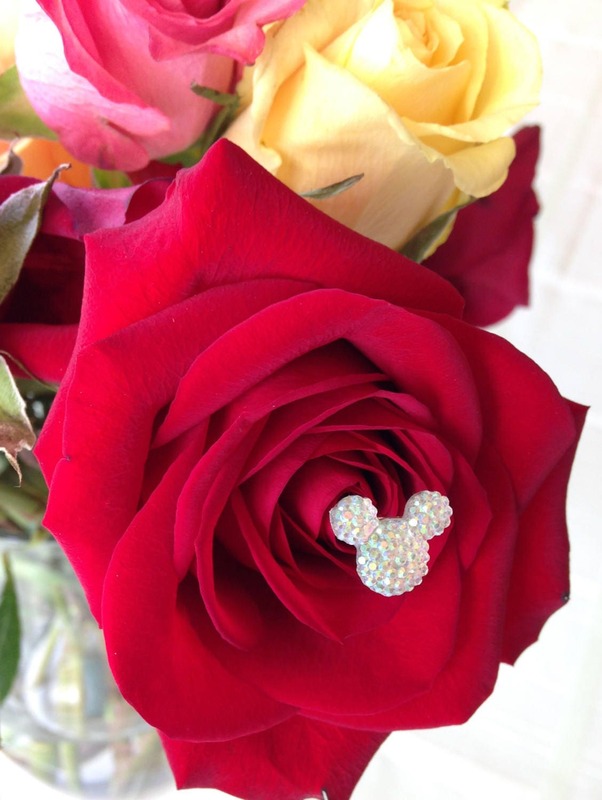 Flower Picks are very easy to use. Pictured above is the Clear AB color which means clear with a rainbow finish that reflects colors sort of like a prism. The picture of the clear one is just so you can see how they are mounted on the wire. If you need more than six I can list more for you in a special reserved listing. 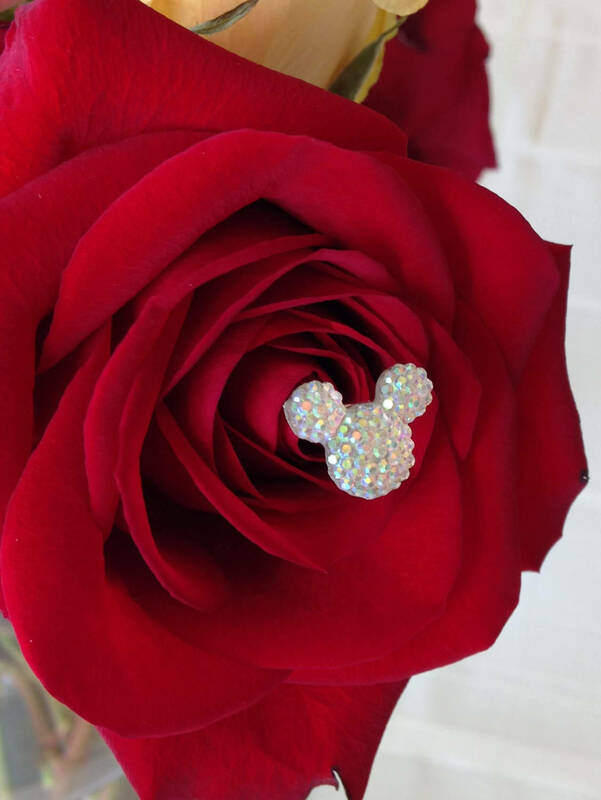 These were the perfect magical touch for my wedding! I highly recommend!